Explore Las Vegas' surroundings by going to Boulder City (Hoover Dam & Tom Devlin's Monster Museum). 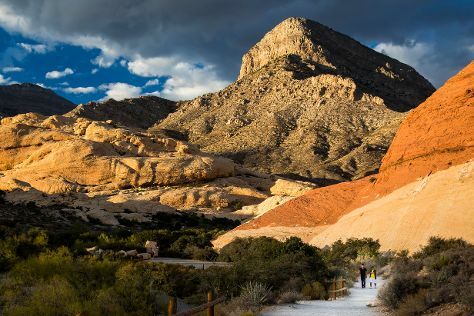 Next up on the itinerary: explore the stunning scenery at Red Rock Canyon National Conservation Area, try to win big at Bellagio Hotel and Casino, snap pictures at Hoover Dam Bypass, and take a memorable tour with Tours. For where to stay, more things to do, traveler tips, and tourist information, read Las Vegas trip site . Expect a daytime high around 104°F in July, and nighttime lows around 81°F. Cap off your sightseeing on the 15th (Mon) early enough to travel back home.